This comprehensive text offers a stimulating introduction to the political systems of post-World War II Europe. The Sixth Edition uses a region-by-region approach, focusing in turn on Great Britain, France, Italy, Germany, Russia, Eastern Europe, and the European Union. 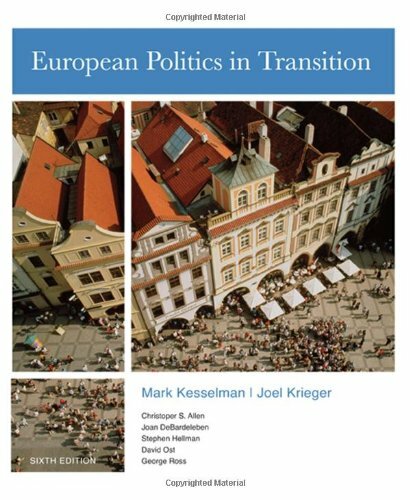 Four themes unify the text and illustrate the concept of politics in transition within each region on a global level: economic management; the relationships between countries; the challenges of democracy; and the political impact of social diversity. Standard, in-depth treatment of each region is organized around five topics: the making of the modern state; political economy and development; governance and policy-making; representation and participation; and politics in transition. Within these topical areas, highly relevant issues from politics today include the impact of Muslim immigrants on European society, Europe's socioeconomic malaise, global warming, the war on terror, and the continuing evolution of European-American relations since 9/11, among other pertinent matters.